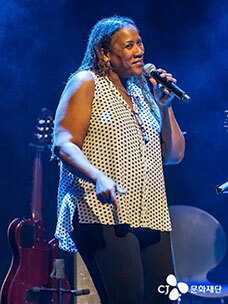 CJ Cultural Foundation Helps the Dreams of Creators Take Flight! Daehangno is a hot spot in Seoul where young people can gather to enjoy culture! This is also where young creators are making their own way towards their dream every day! CJ Azit Daehangno opened its doors in Daehangno, Seoul on April 22. CJ Azit Daehangno will be filled with the dreams and passion of young artists – but, don’t you wonder what it’s really like here? 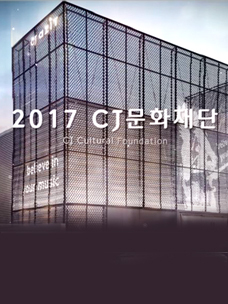 The CJ Culture Foundation was founded by CJ Group chairman Lee Jay-hyun in 2006 to provide excellent artists with constant investment and support to help fulfill their dreams; and to create a virtuous cycle and sustainable cultural ecosystem. This commitment reflects the resolve of CJ Group founder Lee Byung-chul, who said "there is no nation without culture." Over the last 10 years, CJ Culture Foundation has given support to talented individuals across different cultural arenas, such as music, performance and movie, helping them enter the global market. CJ Azit serves as both concert hall and atelier to support the creative activities of young artists and enable them to put on performances by interacting with the audience or viewers. It’s a studio-type space which enables both creativity and performances across various genres, such as music, theatre and musical. Since it opened its doors in 2009, CJ Azit Gwangheungchang has been an incubator for creators. Its major support programs include "Tune Up," "Project S," and "Creative Minds." CJ Azit Daehangno, which opened this year, will also serve as an incubator. It will offer more intensive support programs, including Creative Minds, which is a program designed to support new performance creators across musicals and plays. To date, 83 creators have been selected and supported, and 41 works have been financed. Among with musical works supported by Creative Minds program, Pungwolju and The Goddess Is Watching have successfully entered the Japanese musical market. While CJ Azit Gwangheungchang is a creative studio for indie musicians, CJ Azit Daehangno is an optimized space for creative activities and performances such as plays and musicals. CJ Azit Daehangno is expected to become Korea's most remarkable "experiment station for performance and creativity," in that it can serve as stage, meeting room, studio and rest area. CJ Azit Daehangno will be an experiment station to turn dreams into reality! ▲ The opening of CJ Azit Daehangno! CJ Azit Daehangno is designed to open another safe house for artists in Daehangno, the cradle of plays and the arts, advancing a "Culture Container" concept for culture creativity and sharing. It will be used as a place to establish a healthy ecosystem for the performance industry involving support for small troupes and producers. Meanwhile, CJ Azit Gwangheungchang will be remodeled as a concert hall and a creative studio. 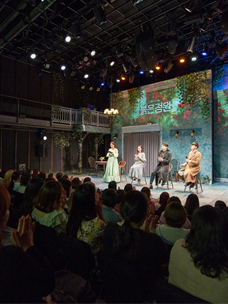 The first basement level of CJ Azit Daehangno is where you can find the stage and seats, while the second basement level holds the stage where creators can interact with the audience, with two dressing rooms behind. CJ Azit Daehangno was designed as a flexible space where more than 200 seats can be separated to expand the stage so that creators can freely manage the stage depending on the needs of their work. If audience participation is important, some of the seats can in fact be a part of the stage, or if a larger audience is wanted, some of the stage can be part of the seats. Unlike other performance spaces, CJ Azit Daehangno is a space that emphasizes the incubating of creation, giving creators better opportunities to display their own possibilities without limitation. ▲ A pleasant environment enables the audience to concentrate on the stage! CJ Azit Daehangno provides the audience with a pleasant environment so that they can concentrate solely on the stage. 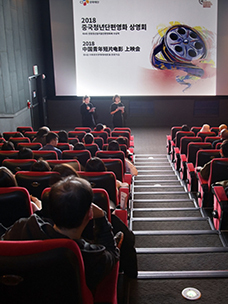 In that sense, creators can expect positive reviews from the audience through their own performances. UNSUNG 2016 was held in CJ Azit Daehangno to celebrate the opening ceremony on April 24. 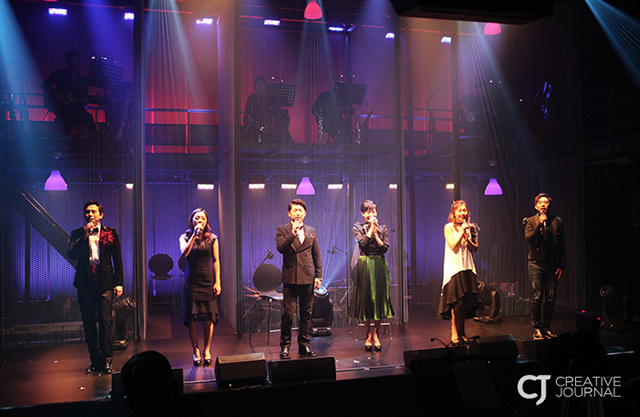 The musical gala concert shows the future of CJ Azit Daehangno. The UNSUNG 2016 program consisted of three parts that brought famous musical numbers together. The songs are from major musical works performed from 2010 to 2015 with the support of CJ Cultural Foundation’s Creative Minds program. The first part featured the highlight of Creative Minds UNSUNG 2015. Numbers were played from musicals, including Myoungrang Gyeongseong, Asteroid B612, and Sontak Hotel. These musicals came from the reading performance, which refers to a practice stage before real performances to get feedback and advice from performance professionals and the audience. It was great to see this show of singing numbers from the musicals, which gained a good audience response! The second part featured musical numbers loved by actors and actresses. It was a stage for guests who came to celebrate the opening of CJ Azit Daehangno. The program was finally unveiled at the Azit on the day of the show. It felt fun to wait for the favorite actors and actresses to be announced. The last third part featured numbers which many people wanted to hear again from the musicals supported by the Creative Minds program from 2010 to 2015. This was the moment when seven years of efforts shone through. One-stop support for creative activities and market access! ▲ We always support young creators! The opening of CJ Azit Daehangno is particularly meaningful in that the Creative Minds support program will be expended further. The support program is now expected to more aggressively help creative works enter the performance market, which is a step up from the past, when it just found creators through contests and supported the planning and development of the performance. In addition, the recipients of the support will be not only new artists, but also established ones; and the contest is now held all year round to help more artists come closer to their dream.